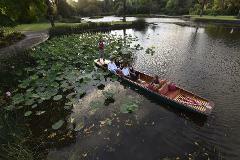 Take a private guided boat tour and enjoy the tranquility of the Botanic Gardens in the early evening. 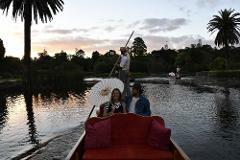 Float around the Ornamental Lake in your private punt as dusk falls on the Royal Botanic Gardens. 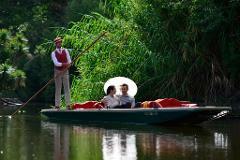 Enhance your celebrations and delight your guests with a cruise around the Ornamental Lake before your wedding function. Purchase tickets or vouchers here. 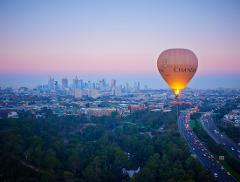 This package offers the best scenic vantage points to showcase our beautiful city of Melbourne. Start the morning drifting high above Melbourne in a hot air balloon, then enjoy a serene cruise around the stunning Royal Botanic Gardens.